Ian is joined by Austin Smith, GM of Inside.com, a startup which focuses on tech newsletters. Inside.com produces the Inside Drones newsletter, a thoughtfully curated, twice-weekly digest of the most interesting drone news. Ian and Austin discuss how he started the company and chat about some of the latest drone news. You can subscribe to the Inside Drones newsletter by clicking here. Follow Austin Smith, GM at Inside.com here. [00:00:04] IAN SMITH: Hey y’all, Ian here in Atlanta, Indiana at the Becknology conference. It’s an annual meet where thousands of farmers from around the middle of the United States to buy seed for the following grow season. Millions of dollars are spent here. So I’m talking with these guys. Chatting about how they’re using drones in their business today. I’ll be passing on that information as the podcast progresses. Thanks a bunch for listening to Commercial Drones.FM. [00:00:33] [Introduction]: Welcome to Commercial Drones.FM, the podcast that explores the commercial drone industry. The people who power it and the concepts that drive it. I’m your host Ian Smith. [00:00:51] IAN SMITH: Hey everybody. Welcome to commercial drones. Fm today I am with Austin Smith. He’s the general manager at inside.com and has previously been a reporter worked on The Daily Show with Jon Stewart and was the founder of ‘read this thing’ which was acquired by his current employer inside.com. So we’re here at Wework just north of the Soma district in San Francisco. Welcome to the podcast Austin. [00:01:20] AUSTIN SMITH: Thanks so much for having me. [00:01:21] IAN SMITH: Absolutely thank you very much for having me over here at your office. So first things first are you guys have been are you specifically. I was doing a little LinkedIn stalking, so we’ve never met each other before. This is our first time meeting each other and I noticed that you’re linked in your endorsed for animated gifts. Why is that? [00:01:41] AUSTIN: That’s a good question I guess. Well I probably for one that I don’t take my linkedin profile all that seriously. And I think I was being endorsed for things like marketing and growth and I thought that. So I guess in in marketing I have used animated gifts a lot but more I just thought it’d be fun if I could if I could remove all of the things except for animated gifts from my Linkedin so that when people check me out that is the only thing that I’m endorsed for. [00:02:09] IAN: I loved it. Yeah I saw one it was an one in one endorsement so our gift game at commercial drones FM is like mega weak. So I think we’re going to have to draw from your experts there. [00:02:19] AUSTIN: Let’s talk about that afterwards. [00:02:21] IAN: Excellent. OK we’ll do that. So yeah can you tell us about inside dotcom I mean what is inside.com, I haven’t given any context yet for the listeners so far. Tell us about what it is. [00:02:33] AUSTIN: Sure, So inside has been around for several years and we were building news curation apps mobile apps that we tried to kind of use software to determine and distribute the news that is the most interesting. And that’s obviously a costly endeavor. And as we started to see and I think a lot of people have seen since then kind of news newsreaders as as their own apps don’t tend to actually be the way that people consume like to consume news. I think Apple news is a really good example where they launched it and millions of home screens. And I don’t know do you use Apple news? [00:03:13] IAN: I dont have any, my computer here is the only Apple device I have but there is a CommercialDronesF.M. Apple news channel actually that I’ve gotten 200 views on. [00:03:26] AUSTIN: So we and we had this e-mail newsletter the inside daily brief that was had a small audience but a much more engaged audience than than the apps that we were building and so we sort of decided to double down on email and we deprecated our apps and have been focused on building this network of email newsletters and so that’s the only place that we publish now is is on email and we started with the inside daily brief which is twice a day. It’s a roundup of all the most interesting news across verticals across industries around the world. A lot mostly a US audience and so folks is a little bit on us but but global news as well. [00:04:05] And then since then we’ve been get it. We’ve been very busy launching new verticals. So virtual reality and augmented reality is one that we have inside VR and AR and that’s been growing really quickly and has kind of quickly become a sort of one of the leading publications in that fast growing space and then security. So for that when we have a guy named David Strom who’s sort of a veteran journalist in the space he’s been reporting on security for 25 years. And so he already knows everybody and he’s one is a smaller audience but a really interesting one because it’s CIOs and CSOs, people who work in security in large organizations. [00:04:48] AUSTIN: Exactly, info sec cybersecurity.And and we’re really kind of trying to create these network effects across a network of newsletters and continue to grow all of them. And as we look to new verticals we have plans to move pretty far beyond just these tech verticals. But at the same time we are starting with tech because it’s an audience that we understand here in San Francisco we know and we can more easily get those first few thousand subscribers to a newsletter in a tech vertical. [00:05:22] So we’re looking at kind of spaces where they’re they’re new enough that there isn’t. There’s kind of an opening for media there might be publications that exist there might be some coverage but but things that are growing and that we think are going to be ten times bigger and so VR is an obvious one and then and then drones as well. Yes, so drones is not the most recent we launched but one before that. [00:05:47] IAN: Yeah so today or yesterday I think I saw you guys launched Inside S.F, which I signed up for since I live here. So there’s some context. 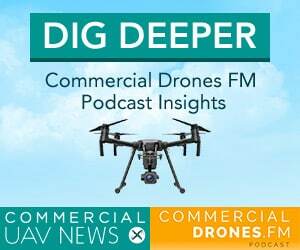 I’m sure the listeners are kind of wondering why is an e-mail newsletter company on the commercial drones FM podcast. But I think we have a lot in common actually what you just said about you know spaces that are growing that don’t have a lot of content out there yet. And that’s one of the reasons why I chose to kind of create the side project. The podcast here so that’s really cool. So going back a little bit before inside what was Read to this Thing so I mentioned in your intro that, that was acquired by inside.com. What was read this thing and was that related at all to what you’re doing now? [00:06:33] AUSTIN: Yes. So that was a side project that I was just doing for about a year and it was like very much just kind of thing a thing I worked on like at night time on the side and it’s literally just a single link to a fascinating piece of journalism everyday. So it’s curation down to a single link and and it basically started because I was sharing often I like to read a lot of different journalism a lot of long form stuff and interactive storytelling and things like that. [00:07:03] I was often kind of sharing those links with friends and then I was like well I might as well see if anyone wants to subscribe so over about a year and just search through word of mouth that kind of grew to 12,000 subscribers and a lot of journalists and media people were paying attention. And so it was just kind of a fun side project and yet now now we’ve brought it into the inside family of newsletters. [00:07:26] IAN” That’s awesome so I don’t think we’ve we’ve mentioned the name. The newsletter is officially called. Inside drones? [00:07:36] IAN: So how many readers do you guys have. I mean you’re taking an interesting approach which I really like and going direct to that e-mail inbox. I kind of use my email as I get to do lists I’ll mark something unread and then it’s always there until I get rid of it. But yeah how many readers do you guys have on the platform of inside dotcom I’d like to do for the listeners. Maybe we can get a little bit of analysis on the metrics because I’d love to see you know OK how interesting is drones compared to AR and VR because you guys get some good distribution channels. Maybe you can tell us a little bit about the readership numbers. [00:08:11] AUSTIN: Yes so we have just over 100,000 subscribers across our e-mail lists and that’s up from around 10,000 at the beginning of this year so I’m definitely moving at a pretty good clip. And then open rates we’ve averaged I just looking at this I think it was like 38% open rates across the past 400 e-mails that we’ve sent out and so that’s also a pretty good rate I think. In terms of other metrics I mean we look at kind of opens per month is one of the metrics that we pay the closest attention to I can’t tell you exactly what that is. [00:08:55] So growing quickly and then the drones newsletter has just over 14,000 subscribers and that one we did. So before we wound on the software products that we had one of them was a drone’s app and so we had an audience. We had a couple of thousand people and there had been sort of beta testers. And so we had that is like a little bit of a springboard in addition to the product launch and other things as we as we rolled out that newsletter. [00:09:21] IAN: And when did the drone, inside drones, when did that launch? just to give an idea of how fast it grew to 14,000. [00:09:29] AUSTIN: I’d have to double check but I think July. [00:09:33] IAN: Like a month or month two? [00:09:35] AUSTIN: Yeah a month.So growing quickly for sure. [00:09:42] IAN: That’s cool. So this has relevancy listeners. 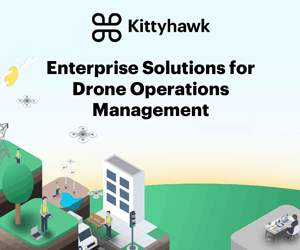 So if you’re interested there’s all kinds of ways to get involved in the drone company or in the drone industry. Even with content and stuff so really cool. I’m very glad to be here and talk about this side of the drone industry. I have my questions here but we kind of covered this so this one was why did you choose to cure eight knows about news about drones. But I think you already kind of touched on that like you’ve identified that this is going to be a pretty big thing right. [00:10:14] AUSTIN: Yeah definitely I mean I think we want to explore a lot of different verticals and I mean so you mentioned the San Francisco newsletter that we just launched which is a really different thing than than one that’s focused on an industry. But we’re exploring a lot of different things. But I mean VR newsletter was like really kind of struck a chord. And so as soon as that was happening we were kind of looking as a team. OK if VR really works then what would be a similar space in drones. Yeah I mean drones it’s just obvious. You can see it reinventing industries already so it’s a place where we wanted to kind of get involved as quickly as we could. [00:10:57] IAN: Can you compare the subscribers to the V.R. one compared to the drones? drones has 14,000. Are you able to divulge the stats on. [00:11:05] AUSTIN: That’s 12,000 on VR. [00:11:06] IAN: So we’re winning and we’re younger. OK. Well it’s really cool though to think about VR and AR with with respect to drones and drone data and looking at 3D models and exploring and collaborating from like an enterprise sense. So we are going to get to more meaty content in a little bit but I want to ask a few more questions before we get there. So inside.com I’ve already noticed the difference when I’m reading it so I’m an avid reader of inside drones particularly but what makes it different from other newsletters out there. And I mean obviously about other drone newsletters, but what differentiates inside.com? [00:11:48] AUSTIN: Yes so we are obviously pretty familiar with the landscape of email newsletters and I think there are a lot of different things out there. There are some that are distributed by brands or even by publications that sort of are almost feel like an afterthought kind of like well we might as well do an email newsletter so lets hire and intern to sort of just cram some links in there and then there are a lot that are sort of side projects that are put together by people who are prominent in an industry or something like that. And those are the ones some of the ones that I’ve seen have been a really really good. [00:12:22] But they’re more of just kind of a list of here the links that I saw on Twitter that that are worth worth checking out. And so what we’re doing is really different than that it’s really an editorial product that. We have a team an editorial team that goes through kind of a rigorous process of finding all of the news that that they can throughout the week and really digging through and finding the best the best coverage of each story and then and then we do the sets curation but we also kind of do a lot of synthesis and posting kind of summaries and then always like 25 to 50 links in the newsletter so it’s not just here’s the story on the verge about whatever it is. [00:13:02] It’s also like the company that’s listed we might we might link to their previous funding announcement or a person who’s listed we might link to their to their Twitter profile or something and just really trying to kind of dig deep and give the give it give you something that you could probably read through in five minutes. But also if you want to dig deeper there is probably three hours worth of content that you can go to that’s all across anything from like newspapers to community sites like reddit. [00:13:33] That’s kind of another component is where we have a section called from the forums that tends to be one of our most popular sections and it’s just sort of a synthesis of here’s what people in the drones forums are talking about this week and so it might be like a cool hack for a DIY drone or a discussion about which drone someone should buy with a given budget and some particular thing that they want to do with it or anything. So just kind of trying to synthesize what the community is talking about because the while Reddit is amazing and there’s so much amazing content and community happening there. It’s also pretty time consuming and so we have found that there are people who are interested to hear what everyone’s talking about but don’t necessarily have the time to be involved in all of the communities whether they’re on Reddit or elsewhere. [00:14:18] IAN: So we just heard from the horse’s mouth that people are literally being paid to surf reddit. So I think there’s a lot of people that would really enjoy that job. [00:14:28] IAN: But you really nailed my my personal experience. I don’t have a lot of time to read. You know I want to read everything but I don’t have a lot of time so five minutes or digging so much deeper in clicking through those links. Exactly right and in the forum section is very cool so very highly curated stuff and lots of thought is put into it. We need to build some credibility on your end too. You’re not just you know someone who just decided oh ok we’ll start a drone newsletter and then has nothing to do with drones. But you actually have a drone yourself right? [00:15:00] AUSTIN: Yes so I have a DKI phantom 3 and it’s my second drone I also had a Aarrot A.R. drone although before we were talking. I actually couldn’t remember the name of that one. So limited credibility there but I have had two drones and photographed my wedding with a drone or reception I guess not the actual ceremony. And yet I’ve been really interested in the space for a while. [00:15:25] IAN: That’s great. And so there’s another person behind inside. His name’s Jason Calacanis. I don’t know if I got that right. Who is Jason? He’s the kind of the guy behind the scenes he’s kind of like he’s like Silicon Valley kind of tech personality, famous kind of angel investor with a lot of history around here. 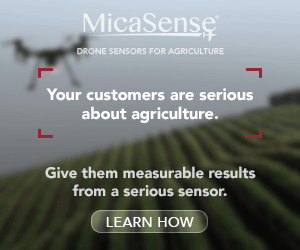 Why should the drone industry care who Jason Calacanis is? What does to do with all this? [00:15:52] AUSTIN: Yes so Jason is the CEO of inside and he has built media businesses before he had a company called Weblogs Inc that he sold to AOL back in the day with Engadget was probably the most well-known of the blogs within that network. But there were also many others. And yes so he has a very popular show ‘this week in startups. [00:16:16] AUSTIN: Another podcast right, video as well. And they have done I think 600 episodes or something like that so it’s been on for a long time and has pretty huge listener base. And he has been a prominent investor for quite a while. Very early at Uber and wealth front and some of those things. Investor kind of personality with the podcast and all of those things that he puts on conferences and really I mean so his his other company is called Launch and that’s where the conferences and ‘this we can startups’ all fall under that and they’re entirely focused on supporting entrepreneurship and inspiring entrepreneurs and so everything that he’s doing with with all of that is making investments or supporting founders through conferences and things like that. [00:17:02] But then in terms of media he’s been he’s been in media starting media companies for a long time. And so I think he really understands audiences and and where they want to go and that and so he has his vision behind behind us building this network of newsletters and then and then as an investor he also has made some really smart early bets and understands these industries and products and where they’re going. And so. So I guess I can’t speak like to his interest in drones specifically other than that I know that he he was excited about it as a vertical that we should be going into and as an investor who has made a lot of the right decisions it’s cool to see him paying attention. [00:17:43] IAN: It sounds like he could be very well interested in investing in a potential drone company if the opportunity came. So anyone that’s interested in this that has a great idea or maybe already in the business maybe potentially pitching Jason Calacanis could be cool. [00:18:00] AUSTIN: Maybe so, I can’t I can’t speak to that. [00:18:02] IAN: We’re not going to we’re not going directly open the lines of communication. But anyway that’s that’s one of the people behind this as well. Well thank you very much for that. So now we’re going to get in the meat and potatoes were actually for this show we’re going to the format is going to be. We’re going to take the latest. That was the literally released today. The latest inside drones newsletter and we’re just going to talk about some of the news that you guys did so all kind of read the headline and a little bit of background information and I’ll get some some thoughts from you. [00:18:31] So in today’s edition this is actually really cool. So a U.S. shipping firm called Work Horse has managed to beat Amazon to active drone deliveries using trucks to launch their fleet in especially rural locales. So it’s called Horsefly. And it operates within the boundaries of part 107, so within line of sight it can accomplish this by launching drones from a movable truck platform a few miles from the delivery spots. What do you think about drone delivery in general Austin? What are your thoughts on that? [00:19:06] Do you think, you know Wired actually just released an article saying that the future high rise luxury condos of tomorrow will have a little drone ports on the outside of them. I mean can you picture this in your in your immediate future? [00:19:20] AUSTIN: Yes I think it’s pretty interesting I think. It’s to me actually like I mean you mentioned rural areas and I think that’s probably actually more interesting. I think in dense urban environments it’s really hard to see. I mean I live in an apartment not in a high rise. And I guess we could have packages delivered in our kind of backyard by a drone. But that seems maybe farther off but I mean yeah it’s like it makes total sense that that we’re going to have things delivered and I think that that the combination of an autonomous truck that gets you most of the way there and then a drone that does whether you call the last mile or the last hundred yards of the delivery that’s that’s pretty interesting because autonomous trucks as the driver could only get you so far if there’s not someone or something that can get the package out of the truck and to the person’s front door. [00:20:14] IAN: Exactly. So that’s the key there. The rural locale so I was always wondering you know you know Amazon’s promo video for Prime Air showed the drone landing in these people’s front yards. And I just don’t see that happening. I think there were you know Amazon already has those those like centralized hubs for people. [00:20:37] IAN: Yeah exactly. So that’s where I always thought OK well you’re going to get a drone delivery right away to your front door but maybe it’ll go to a locker so it’ll get there really quickly really cheap and then that’s where you just go pick it up. So yeah. Not everyone’s going to have like a little spot but it’s great that they start in rural locales. Yeah there’s also some cool provisions in part 107 regulations that allow for operating a drone and keeping it within line of sight as long as the operator of the drone is not operating the vehicle that it’s that they’re operating from. At the same time is their operating the drone. [00:21:11] So I think that they also put a metric here so traditional drivers delivery drivers are paid 30 to 40 bucks an hour and they can deliver between 150 to 200 packages. So drones could probably deliver somewhere along the same area of volume but they only cost two cents per mile because of the electricity and the fact that the drivers are not involved so we’re getting closer folks. But that headline was beating Amazon there so we’ll see what Amazon has up their sleeves the next one is a Baton Rouge based drone company atmosphere aerial put together a kind of online database of footage of locations so aerial video of locations affected by the the area’s recent recent catastrophic floods. [00:22:00] So atmosphere aerial asked people on Facebook to send them locations of homes and flooding so they could fly over and help out how they could. The posts were shared over 800 times and quickly flooded. No pun intended. Whoever wrote that I don’t know if that was you guys had inside but were quickly flooded with hundreds of comments from residents and family members in the affected areas for footage of neighborhoods and buildings where they feared loved ones might be stranded. This just brings up the topic to me of like drones for good or something like that. You know using drones in disaster scenario. So where are you from originally? [00:22:41] IAN: Chicago. OK you guys dont get a lot of flooding in Chicago do you? [00:22:44] AUSTIN: No, not so much maybe like flash flooding. [00:22:47] IAN: Flash flooding, ok. Yeah so it’s just interesting to see that it’s garnered such a social response from these videos that people are like requesting. So I’m wondering you know if this atmosphere Aeriel is doing this gratis – totally free? Because once they start accepting money then that’s a commercial operation and then FAA would have to kind of hold them accountable. So it’s interesting. What do you think about drones being used to help areas of flooding or natural disasters? [00:23:23] AUSTIN: Yes I mean it’s I mean it’s obvious that drones can and can get to places that that humans can’t. And so whether that’s like in the middle of a huge fire or just like above a highway where there’s an accident have it happening or anything else and so I think there’s sort of a mix here I guess like drones being involved in journalism is just sort of a no brainer because I mean as soon as helicopters since TV stations had the chance to have helicopters any TV station that could afford it did it. And whether it’s for like a really important story or not that the O.J. Simpson thing isn’t wasn’t important at the time but it was like that. I mean without helicopters that story would just have a be ingrained in all of our memories in a really different way. [00:24:09] And I think drones opened up the possibility for maybe citizen journalists to get footage like that or or professional news outlets to just have a look a lot more kind of distribution. And then in terms of kind of collecting data to to save people I mean I think it’s amazing I think that it’s it’s the I guess the challenge is how that how to actually like implement that like you mentioned if it’s a commercial enterprise then then that kind of changes the entire dynamic and the reality of it. So those are tricky things, but I think there are plenty of situations that that you can imagine having an eye in the sky that super mobile is valuable too whether it’s people’s lives or just keeping the public informed or anything like that so I think we’ll see a lot of that. [00:24:57] IAN: Perfect segway into the next one, CNN launched or announced the launch of CNN AIR which stands for Aerial Imagery and Reporting. A drone based news gathering division, so the news group or the new group will feature two fulltime drone operators to fully integrate aerial imagery and reporting across all CNN networks and platforms. CNN actually made pretty some small steps already. They use their technology for reportage from the actual Louisiana flooding as well as two recent major political conventions the DNC and the RNC. I guess it was just footage of the outside of the building. Whatever I think they’re doing this under the auspices of the FAA Pathfinder program. So I’m not sure if CNN has a 333 currently or if they just kind of hire someone else to do it. Yeah. I mean it’s drones for for journalism. So what are you what are you what are your thoughts on on CNN there? [00:26:00] AUSTIN: I would say I’m shocked that this hasn’t happened at like at the larger scale yet because I mean I don’t know what it costs for CNN to run a helicopter but it’s on the order of millions of dollars I imagine. [00:26:14] IAN: Per year or so and it’s got to be ridiculous. [00:26:17] AUSTIN: And so unless the FAA regulations are really kind of prohibitive of these news organizations doing it I think the I mean it’s crazy and I think it’s cool to see someone like CNN doing this. I mean if I were trying to make my name as a citizen journalist or kind of build a scrappy news organization covering breaking news first thing I would spend a thousand dollars on a drone because the footage can be so incredible and yet so I think I think we’ll see a lot more of this. [00:26:48] IAN: I’ve got a cute little story so locally here in San Francisco there’s a news outlet called KRON 4 I think. And they have the KRON 4. What do they call? Air. KRON 4? They have a drone, a DJ Inspire 1, when I was running marketing at drone deploy I was contacted by them to sponsor the drone. And they kind of like you know try to leverage a little bit of their muscle they like what if you guys don’t spot you know drone deploys sponsored KRON 4 eye the sky whatever then Apple and that it like to sponsor it and I don’t. I don’t know if they actually have a sponsor for that. But yeah there’s already small scale but to touch on your point of it’s cool seeing CNN doing that because that’s major news. [00:27:36] IAN: That they should report on themselves. So the next little piece here is is really freaking cool on Australia’s surf lifesaving clubs. So saving like basically lifeguards are being trained to use drones to bomb sharks with electronic devices meant to scare them away from swimmers and surfers. So the shark shield devices emit pulses that irritate a shark senses and hopefully send it back out into safer open water. The drones are called the little Ripper’s And they’re also capable of carrying flotation devices and defibrillators to read to hard to reach ocean areas. Thoughts on bombing sharks with electronic devices, Austin? [00:28:21] AUSTIN: Yes I think I mean it’s just an example of where things are going to go I think with software once we gave millions of people a computer in their pocket. And then once Apple opened up the platform for anyone to build an app then that’s when you see Instagram and you see Uber and you see all of these things. I mean like it was so fascinating 10 years ago to think there’s an app. I mean there’s the whole platform there’s an app for that. And it was. Now seems like the way it’s always been. [00:28:50] But but once you open up that that platform and it’s so accessible then you see innovation in ways that no one could imagine. And I think now that drones are moving in that direction where for a thousand bucks you can get a pretty fantastic high performing drone. We’re gonna see people do all sorts of crazy things so I think yeah that’s cool. I never would have even consider that being a possibility but. But I’m excited to see what else happens. [00:29:17] IAN: So that brings me back to a few years ago one of the first t drone uses that kind of blew my mind that was a little bit unorthodox was I think there was like this was Swiss. I think it was a Swiss or Swedish guy that had proposed putting a defibrillator on a drone. And then if there’s a citizen in this in a city that you know I don’t know someone sees them they use an app and then the drone flies over and then someone can defibrillating them and resuscitate them. [00:29:48] But also with the lifesaving device like if you’re out at sea I mean how much faster is that than a lifeguard jumping in and swimming over you just send the drone straight over the person drop like a life preserver. [00:30:03] IAN: That’s crazy. Ok cool. So the next and final area that we’re going to kind of chat about here is going to be something that happened really close by. It was Intel’s Developer Forum just this past week. They unveiled ready to fly an RTF quadcopter drone aimed at software developers rather than hobbyists or commercial operators. So the drone is fully assembled it’s a little quadcopter it runs on Intel’s aero compute board has the Linux operating system and it actually comes with air Maps API that they released in tandem preloaded on the system itself so air map helps drone flyers operate in like save zones by having like a compliance kind of software to check in they’re integrated with DJI etc. What do you think about Intel’s moves into the drone industry? [00:31:02] IAN: I mean I would say any move that opens up a platform for developers to innovate is probably smart because I mean going back to the same thing that I was just talking about I think you when you open that up and there’s so much innovation that can happen so I would say it’s smart I mean who knows what what is going to actually come of it but. But I think it will be pretty cool to see software developers kind of coming up with whatever niche they happen to be familiar with or whatever thing they’re excited about building building toward that future. So it should be cool. [00:31:38] IAN: Totally agree. It also has a 4G LTE modem embedded in it which is really cool and that’s kind of opening up like the IOT for drones something that. [00:31:50] AUSTIN: You could probably send out a drone catching pokemons.Actually someone’s done that already. [00:31:55] IAN: Someone did it but with this you wouldn’t even have to attach your phone you send out your drone. [00:31:59] IAN: Load that Pokemon Go on it. [00:32:00] AUSTIN: I need that I’m only level four. [00:32:05] IAN: Well you can go ahead and get it if you’re any good at software development I’m sure you can hack that up really quick. Just a quick side note I found out that Crawn 4’s drone is called quadcopter 4. I had to do a little bit of research while we were talking. So ok cool Intel making some large moves there in the White House. They’ve got I think the CEO is a White House adviser for drone policy. They’ve made a key hire lately from someone from a sense fly who maybe will have on the show I’m not going to name him yet. They are releasing drone stuff. [00:32:37] They’ve bought a company a German company called a Ascending technologies. They are a silicone manufacturer so they are really setting themselves up to be huge in this space. They’re betting on it just like you guys are betting on it from. And just like I guess all of us are kind of betting on it from all kinds of different perspectives, so thank you Austin so much for being on the show. [00:32:58] AUSTIN: Thank you for having me. [00:32:59] IAN: Thank you for producing this newsletter. My last question for you is Mr. Smith what is your favorite drone? [00:33:09] AUSTIN: Well so I the phantom three is the one I have, so I would say that because I have not flown a Phantom 4 but knowing how much how fantastic the Phantom 3 has been and looking at where the upgrades they made I’d say yeah Phantom 4. [00:33:24] IAN: Nice, its a good one, DJIs dominance continues. I’m going to make this a question for everyone so I think everyone’s pretty much saying yeah Phantom 3, Phantom 4 for the favorite drones, all the guests on the show. But yes so if you guys that are listening guys and gals want to follow Austin on Twitter you can follow them at @awwstn and the you can follow inside @inside and check out the Website. If you want you can sign up for the newsletter. 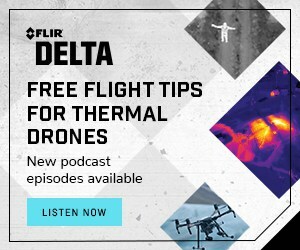 Get informed of all the latest news curated directly for you at drones.inside.com or you can check out their general Web site at inside.com. [00:34:03] Newsletter is free. You know we just talked about that so you guys know that I kind of like it. And you can follow commercial drones FM on Twitter @dronespodcast and at Facebook.com/dronespodcast. If you like what you’re hearing. Go ahead and leave us a review on iTunes and subscribe. 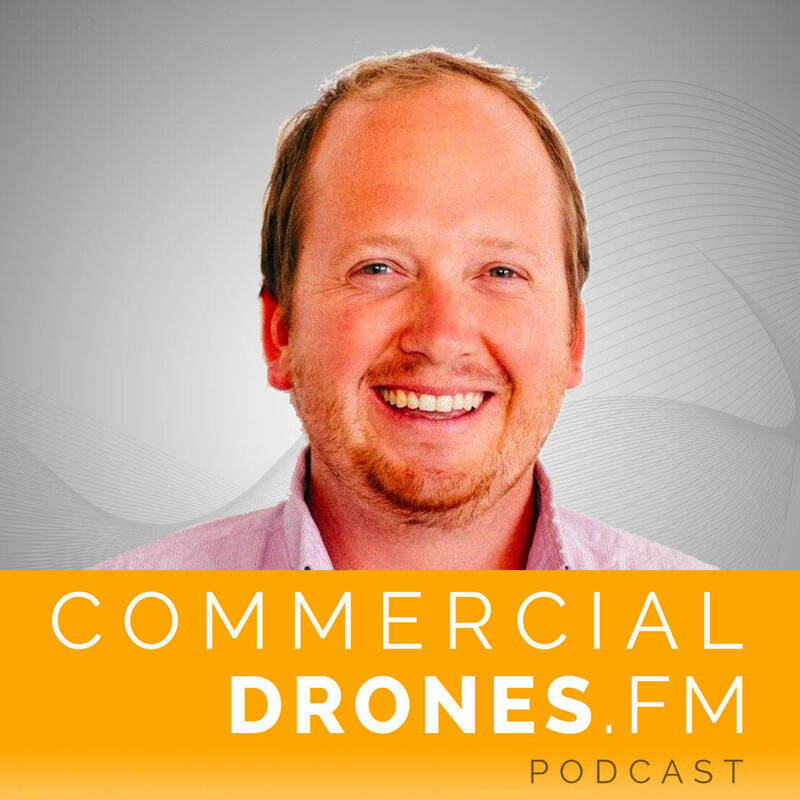 Maybe we’ll have Jason Calacanis on the show at one point in the future, but thank you so much Austin for your time and for describing what you guys are up to with drones. [00:34:32] AUSTIN: Thank you so much. I enjoyed it. [00:34:34] IAN: Likewise, all right y’all we’ll speak soon. Cheers.